FAQ: I am trying to decide if I have an anxiety disorder or am I just highly sensitive? First, both could be true. See the first FAQ for that third possibility. Second, HSPs and HSCs need to work on anxiety if it interferes with their life and development, whether they have a full blown disorder or not, in order to enjoy life more. Do what you can to decrease anxiety that feels debilitating. There are things you can do on your own—there are many books and websites on anxiety. One book I like is Dancing with Fear by Paul Foxman. I write below about some of what parents can do for an anxious HSC. Sometimes it is clear, however, or becomes clear that you need more help, so you seek out a therapist. Those specializing in cognitive behavior therapy are especially skilled with anxiety, so that approach may be a good place to begin. You look at what have become mistaken assumptions and you try gradually to reduce your fears. A deeper approach, looking at past causes, can help if simpler methods do not. Sometimes medications are prescribed, in the short run, if your fear is overwhelming, but these should not be relied on. If you seek treatment, I think there are good reasons why your therapist should also understand about high sensitivity as an innate trait or be willing to learn about it. It will help both with your treatment and your diagnosis. Because diagnosis does matter. Labels change your thinking and everyone else’s about you or your child. If the diagnosis is accurate, the label may help you take it seriously; and sometimes it is necessary to have a diagnosis in order to have your insurance cover some helpful treatment, but then you still have the label in your medical files. During your first visit with someone, ask if or when they must make a diagnosis and what it will be. First, read the first FAQ about the three errors that can be made: Signs of high sensitivity (HS) are mistaken for a disorder, signs of a disorder are mistaken for HS, or a disorder and HS are both present at once. If you or someone else thinks your symptoms say you have an anxiety disorder, learn more about those symptoms. There are many websites with these, but especially look at those with the explicit criteria that must be met according to the American Psychiatric Association’s Diagnostic and Statistical Manual of Mental Disorders, V.
In looking at these, you will see there are several types of anxiety disorders. The first two are more common in children: Separation Anxiety and Selective Mutism. Either adults or sometimes children may have Specific Phobias (certain animals, blood, falling, elevators, bridges, etc.) or Social Anxiety Disorder (Social Phobia). Then there’s Panic Disorder, Agoraphobia (fear of leaving the house, often with Panic Disorder), and Generalized Anxiety Disorder. I discuss most of these in Psychotherapy and the Highly Sensitive Person. But perhaps the most easily confused or likely to occur in HSPs are Social Anxiety Disorder and General Anxiety Disorder. Remember, what I am going to say next is not meant to substitute for a proper diagnostic interview with a skilled clinician. But here are some points that a clinician familiar with high sensitivity will want to take into account. First, anxiety can be easily confused with overstimulation/overarousal. In both cases you have sweaty palms, nervous stomach, feel mentally confused, and do not want to try to act because you know you will not be at your best. The treatments almost always involve reducing overstimulation first, through deep breathing, relaxation methods, meditation, yoga, and so forth. Appreciating overstimulation is essential for understanding anxiety. A panic disorder in HSPs often begins in an intensely overstimulating situation, and often ends once the person understands that cause and learns to avoid it. That is, it is all too easy to feel anxious when overstimulated because they are so similar, and one can lead to the other. Overstimulation, and hence over arousal, leads to poor performance for anyone. This idea of an “optimal level of arousal,” neither overstimulated nor bored, is one of the best demonstrated facts in psychology. Naturally we get nervous when we think we feel so out of sorts that we know we cannot do our best. And of course being afraid is overstimulating in itself. In the case of social phobia, in an overstimulating social situation the resulting feelings can be misattributed as shyness, that is the fear of social judgment. If we think others notice our state or we are less able to think of things to say because of being overaroused, it does not take long for it to turn into shyness, even chronic shyness or social phobia—see The Highly Sensitive Person book, the chapter on “The Slide into Shy.” Be sure to read the description there of the study done by Phil Zimbardo at Stanford. He arranged an experiment in which shy people reattributed their shyness to overstimulation, and when they did, they did not act shy! These were “shy” women meeting a handsome young man, and they thoroughly enjoyed themselves. That is, what we tell ourselves is the problem can actually alter the problem. Hence HSPs and parents of HSCs who are having trouble with anxiety in social situations need to choose a low stimulation environment for meeting people, at least until one is confident enough to accept some failures. Low stimulation includes quiet, no crowds, not too much that is novel, not too tired, and so forth. One on one works best, or you and someone you know plus the new person. Avoiding overstimulation may well avert the kinds of awkward moments that will actually make you shy in the future. If you do feel you did less than your best in a social situation, remember that people change their minds about someone as they get to know the person better or meet them again. You change your mind, don’t you? So you always have another chance. HSPs generally make better second impressions! Is Anxiety Appropriate to the Context? Still, HSPs and HSCs will not be anxious most of the time or in most places. Anxiety becomes a true disorder when anyone over generalizes a bad experience (becoming shy everywhere, never going in an elevator again, etc.). HSPs with very bad experiences in their past will be especially anxious because they have processed these experiences so deeply. Then, out of unconscious and automatic caution, they generalize it to any situation that is like the original scary one. Sometimes the level of fear is almost complete and general fearfulness or a Generalized Anxiety Disorder needs to be worked on, with a thoughtful therapist and perhaps some medication, too, in order to shake this anxiety that does not belong in all the places that it now arises. Anyone in this situation should seek help soon. The diagnosis is not simple, however, if we take the DSM description of Generalized Anxiety Disorder as an example. The criteria for any disorder is that there must be distress and impairment of functioning. For this disorder, the first and second criteria are “excessive anxiety and worry occurring more days than not for at least 6 months, about a number of events and activities” and finding it “difficult” to control the worry. Whether an HSP has this disorder is highly dependent on defining “distress,” “impairment,” “excessive,” and “difficult.” If an HSP always checks to see where the fire exits are in a hotel or theater and feels embarrassed to admit it or says it is a nuisance, a non-HSP might find this is indeed distressful, impairing, difficult to control, and certainly excessive—until there is a fire. 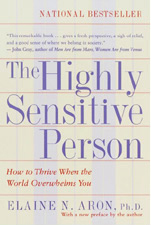 As an example, a sensitive person even just working a forty-hour week under an unpleasant boss and with two-hours commute could easily meet the other criteria, which are six months of having, more days than not, three or more of these symptoms: Feeling on edge, easily fatigued, trouble concentrating or mind going blank, irritability, muscle tension, and sleep disturbance. (Only ONE item is required in children if the first two criteria are met, of excessive worry for six months and difficulty controlling it.) Understanding an HSP, a clinician might instead choose a diagnosis of an adjustment disorder with anxiety for the troubled worker (which by definition ceases to apply six months after the stressor ends). Or the anxiety might not be diagnosed at all because it is normal for this population to worry more than others–that is, to consider future possibilities, such as why the boss dislikes him or the need to change jobs and then concern about finances, maybe having to move, children having to go to new schools, and everything else that the change might entail. Anxious? Yes. Distressed? Of course. Difficult to control? He does not control it because he feels he must consider all the possibilities. Excessive or impaired? No, not for an HSP. Still, we want this HS worker to do something about his anxiety, but it might be working out the details of how he could change jobs so that he has a better social environment and a shorter commute rather than primarily treating the anxiety itself, which may well go away once the causes are resolved. HSPs do need a place to reduce their overstimulation and do need to consider their worries and fears. All highly sensitive people worry to some degree. Again, it is part of their survival strategy to consider what the future might bring. You cannot say someone has an anxiety disorder if it is normal for their temperament to worry more and it does not impair them or cause them distress. Indeed, it may help them and their loved ones avoid problems. But they do need to keep a realistic perspective—to consider the odds of what they fear and maybe notice that things that were true in the past are not operating now. If the highly sensitive also prefer to watch before entering in, they do need to be encouraged to join or try something. HSPs and HSCs are more sensitive to criticism as well, so that they are likely to be anxious in an environment where it is common practice to criticize without also praising what is done well. Again, it is part of their survival strategy to learn from threats and failures as well as to learn the signs of coming opportunities. You cannot blame them for it or change them beyond teaching them how to evaluate a criticism for its validity, and how to temper their response rather than overreact, for example by talking it over with someone who knows them or just waiting 24 hrs. before responding. HSCs will also learn little from harsh punishment except to fear the situation in the future. They cannot internalize the moral lesson because they are too overaroused/overstimulated. Any teacher will tell you some kids are like that. None of these—being easily overstimulated to the point of failure, generalizing more than others, being more affected by criticism, hesitating before entering a new situation—none of these should, on their own, be taken as a disorder, unless it fits with the American Psychiatric Association’s definition of a disorder, that it involves real “distress” or “impairment.” (See the first FAQ, under 1. Mistaking HS for a disorder.) Clinicians can and should help turn down the volume of these basically normal behaviors, but if they imply they are abnormal they will lower the HSP’s self-esteem or make him or her defensive or uncooperative, so that all parties are frustrated by trying to achieve the unachievable. When anxiety is treated with gradual exposure and/or medications, here again, being an HSP matters. Exposure probably needs to be more gradual and medication should first be tried at low doses (as found in an unpublished study of ours). In short, I am quite certain that treatment must be adapted for highly sensitive children or adults. Good clinicians do this anyway. They have had more and less sensitive patients whether they have had a word for it or not. So how is the best way to bring it up? 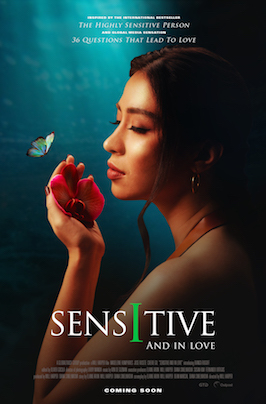 Just remember, high sensitivity cannot be “overcome.” It inevitably means more caution and worry, and deeper reflection on a trauma or a social “failure” or any negative experience. This thinking that is motivated by the amount of emotion after an important event is how anyone learns to avoid problems in the future, but HSPs do this more. It is part of your survival strategy. But it should not make your life miserable. What can parents do about “normal” anxiety in their HSC so that the child is not overprotected or misses out on fun things because of too much normal caution? With young children, it has been long understood in the field of temperament (beginning with Thomas and Chess in the 1950s, that it is best to adapt to the child’s temperament while they are young, providing what is called “goodness of fit,” which brings out the best in them and reduces conflict and distress. For example, temperamentally active children should not be made to sit still, and slow-to-warm up children should not be rushed. It only makes sense with them to start out with sleepovers or small birthday parties at home, if sleeping away or big birthday parties at someone else’s house upsets them. But parents will help their child enjoy these with time, or at least be able to make a true choice, not one based on fear, so that in the long run the child is well adapted to his or her world. The trick is to find that “sweet spot” between giving up when a child backs off from trying something new, and patiently encouraging the child, while not letting him or her enter a situation where he or she is going to have a bad experience or is bound to fail. That includes not forcing a situation when the child is already tired or distressed. Your strategy has to avoid creating distress. For example, you cannot use threats or descriptions of how bad the child will feel or others will feel if the child cannot do it. The reasons for approaching have to be the emphasis, not the negative if the child fails. Some tricks to finding this sweet spot are watching to see if the child really wants to do it, but is hesitant. Then you increase the “want” side by pointing out the fun in it. Also point out the familiar, or how well things went last time when he or she felt this way at first. If your child gets annoyed with you, you might try something like “I know you have probably already thought of everything I am saying. Would it help more if I just sit with you until you are comfortable enough to go ahead? Or come with you part of the way (or for part of the time)? There are more tips in The Highly Sensitive Child. For younger children, it begins around p. 212, and for older ones, around p. 261.